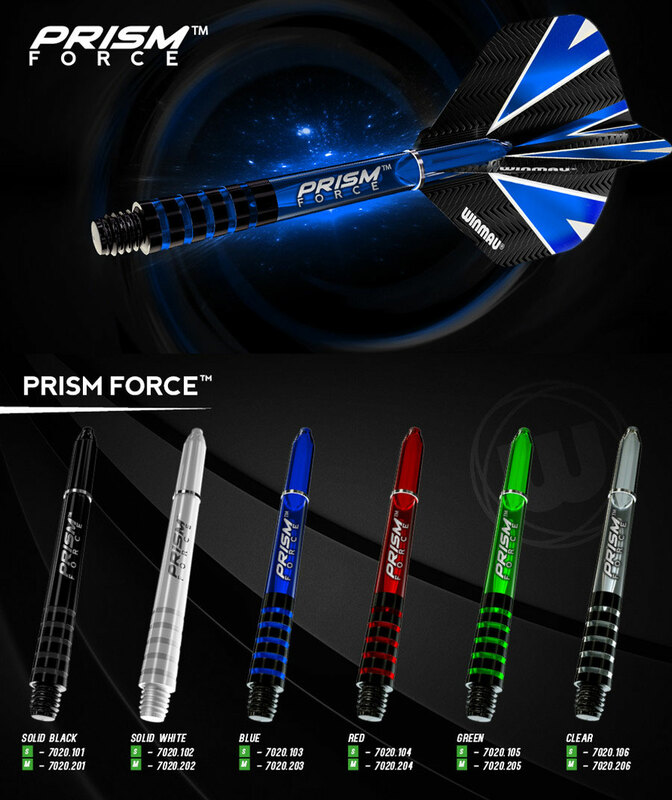 Introducing the spectacular Prism Force range with a unique Force Grip Zone for unrivalled control and accuracy, this stunning translucent range offers unsurpassed performance. 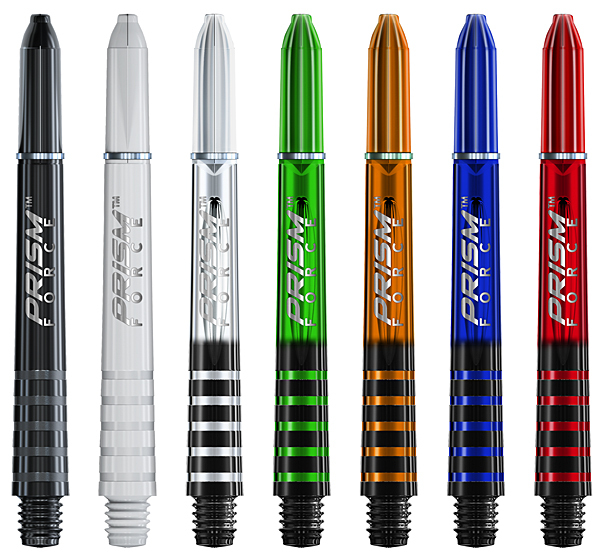 The Prism Forces pioneering design uses advanced polymers evolved to achieve the ultimate style, strength and durability. 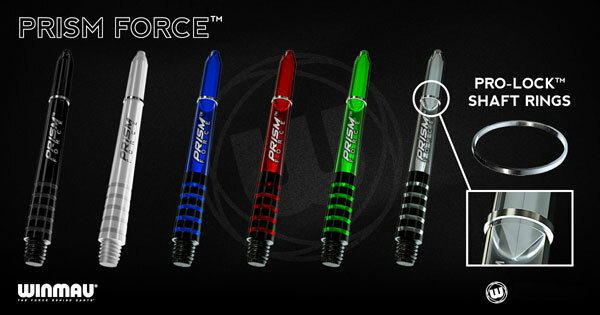 This range includes our new light-weight Inox Steel Pro-Lock Shaft Rings to hold and secure any flights. Available in short, in-between and medium lengths.